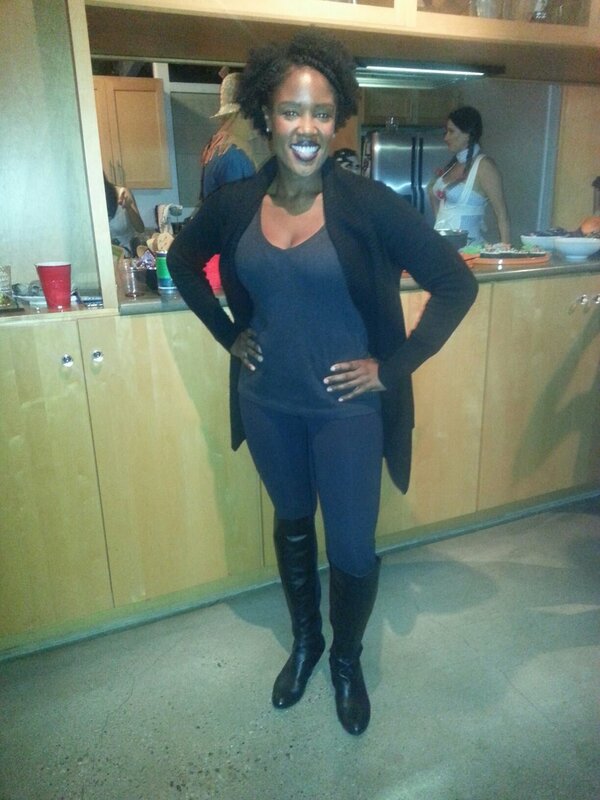 Last night, I went to a Halloween party as "Black Woman," a superhero I came up with on the drive over because I've exhausted my creativity on unpaid writing projects. That's a cardigan-cape. Get it? Sigh. "Black Woman" because I was wearing all black. Don't be racist.